The University presented its Alumni Awards to six outstanding graduates at the Mt Helen Campus on Tuesday 28 June, 2016. The Awards formally recognise their achievements within their chosen field of study and beyond. After graduating, Andrew obtained his first major sporting role as an assistant first coach with the Essendon Football Club in the Australian Football League. The club won the premiership in 2000, and Andrew was “head-hunted” by rival AFL club, Port Adelaide. He took up the role of Head Fitness Coach with Port Adelaide a year later, and contributed to Port Adelaide winning a Premiership in 2004. Andrew later moved back to Victoria to the Hawthorn Football Club as a High Performance Manager. 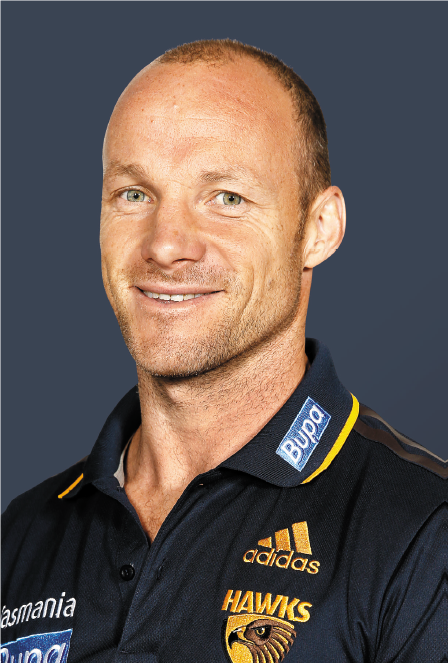 Andrew has constantly undertaken professional development to improve his effectiveness, and to this date, has been involved in six AFL premierships. Andrew leads by example, by undertaking his own endurance running training, which has allowed him to compete at events such as the Stawell Gift. Andrew has also coached Jeff Riseley an accomplished Australian middle-distance runner to a World Championship 800 metre semi-final last year, and a 5th place at the Commonwealth Games in 2014. Nomination category - Outstanding service to the community. Since graduating, Maryann has taught across a broad range of education sectors. Her early teaching career began with positions at Ballarat Grammar School, Methodist Ladies College and Flinders Park Secondary College, where she took on leadership positions as Literary Specialist and Professional Development. Maryann also worked at Geelong Prep School and from 1995 to 2000 Maryann worked at the University of Ballarat as unit coordinator for the primary and secondary education courses. In recent years, Maryann worked at Geelong College in senior leadership positions. 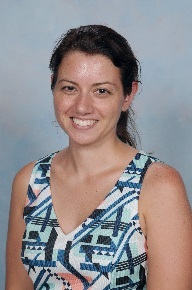 Maryann has a strong interest in teacher education and in 2006 completed her Doctor of Education at the University of Ballarat, investigating contemporary teaching and learning practices in teacher education. Maryann’s accomplishments in education have also contributed to rural and international commitments. Maryann is a life member of Teachers Across Borders Inc. and since 2007 has volunteered as a teacher in Battambang, Phnom Penh and Cambodia. Furthermore, Maryann has been working with the Macpherson Smith Rural Foundation, allowing her to work with young people from rural regions. Maryann has a strong sense of social justice and has used mentorship and collaboration to empower young people. Nomination category - Outstanding professional achievement and outstanding service to the community. Catherine’s passion for working with children and families has led to improvement in community programs and better outcomes for those in remote communities. Catherine’s efforts have ensured that people in remote areas are able to access support, training and skills development to provide them with the opportunity to be more self-sufficient and enable them to improve their social and economic situations. Catherine has also worked with out-of-home children who have been removed from their families and were considered at risk of further harm or self-harm. She is committed to improving the circumstances of young people across the Katherine region in the Northern Territory. She is Chairperson of the Community and Culture committee and coordinator of the Student Representative Council for the School Improvement and Renewal Framework team, and leads programs and events such as Multicultural Day, Families Welcome Day and much more. Catherine now works as a teacher, supporting students from remote communities to access mainstream education which also improves the rate of successful transitions from school to employment. Nomination category - Significant contribution to the field of sport. Peter has enjoyed an outstanding sporting career as Australia’s number one ranked Badminton player for over a decade. He represented Australia at two Olympic Games and four Commonwealth Games (winning four bronze medals) and competing in five consecutive World Championships. Peter captained the Australian Team for almost ten years and was honoured with the ‘Australian Sports Medal’, ‘Victorian Olympic Council Award of Merit’ and was a Sydney 2000 Olympics Torch Bearer. Although Peter is now retired as an athlete he has successfully transferred his sporting success and experience into television broadcast commentary, including gigs at the 2004, 2008 and 2012 Olympic Games (London, Beijing and Athens) as well as the 2006 and 2010 Commonwealth Games (Melbourne and Delhi). Peter has a keen interest in the development of athletes, commentating at the 2014 Young Olympic Games held in China. He will be heading over to the 2016 Rio Olympic Games where he will be providing worldwide commentary for Tennis, Badminton and Beach Volleyball. Nomination category - Outstanding service to the community and his pre-eminent contribution to community health and local government. Robert arrived in Australia from Malaysia in 1962 and studied applied Chemistry at the School of Mines Ballarat. After graduating, Robert joined Monsanto Chemicals as a Chemist/Research Assistant. Later he joined the Commonwealth Department of Air, which later changed to the Royal Australian Air Force. When Robert moved to the Blackburn area in the early 1970s he saw a need to support recently arrived Chinese immigrants living in his community. He founded the Chinese Community Social Services Centre, served as the President of the Federation of Chinese Associations (Vic) Incorporated, founded the Box Hill, Waverley and Knox Chinese Senior Citizens Clubs. 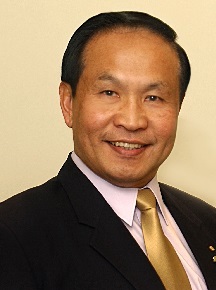 He served as President of the Community Council of Ethnic Issues and advocated the Federal Government for the establishment of a Migrant Information Centre in East Melbourne. Due to his strong advocacy for migrant support services, Robert was invited to serve on the newly established Board of Migrant Information Centre for East Melbourne for 7 years, and was then appointed by the Victorian Minister of Health to the Board of Eastern Health. Since 2011 Robert has served as Chair of the newly established Eastern Health Foundation. 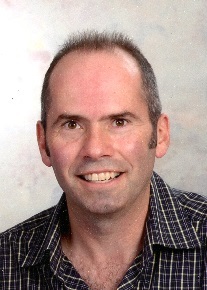 Robert was elected as a councillor at the City of Whitehorse in 1997 and re-elected in 2012 for a sixth term. During this time he served two terms as Mayor. Robert has made outstanding contributions to the community of eastern Melbourne for over 25 years, and has been awarded an Order of Australia Medal, Centenary Medal and Member of the Order of Australia. Nomination category - Outstanding professional achievement. Despite graduating in teaching and applied science, Jacqueline Dark has forged an enormously successful career as a singer in opera and music theatre, gaining accolades both in Australia and overseas while working in some of the world’s major opera houses. She has sung major operatic roles to great acclaim, and is currently performing the lead role of Mother Abbess in the national tour of The Sound of Music, also to great critical and public acclaim. She has sung at major events including Opera in the Domain (to audiences of 80,000), Handa Opera on Sydney Harbour and Carols In The Domain (televised live to millions of viewers). Jacqueline has won two Helpmann Awards (the major award of performing arts in this country) and two Green Room Awards (for excellence in theatre in Victoria), as well as an Encore Award for excellence in Ballarat Theatre. She was named Artist of the Year by Deborah Jones, Arts Editor of the ‘Australian’ for her work on the opera and music theatre stage. She has already been nominated for a Sydney Theatre Award for her work in Sound of Music, despite the show only opening in mid-December.